A drama steeped in Portugal's Fado music culture. A series of dances inspired by composer Isaac Albéniz's "Iberia" suite. Having taken on flamenco ("Sevillanas") and tango ("Tango"), Carlos Saura tackles a third great melancholy music style, directing "Fados," a celebration of Portugal's classic, lamenting acoustic folk songs. The film combines fado performances from top artists, dance from Portugal, Brazil and Cape Verde and archive footage. In the song centrepieces, artists deliver contemporary versions of fado classics. Lined up fadistas include young female star Mariza as well as Grammy award-winner Carlos do Carmo. Renowned diva Amália Rodrigues is remembered through arquive footage while the exploration of fado's influences and roots gives opportunities to embrace prestigious Brazilian performers Caetano Veloso, Chico Buarque and the emerging Cape Verdean star Lura. Of the 5 previously-posted reviews, I thought the one by "sezme" the most perceptive. So far, though, no one has explained that Fado (pronounced fah' doo) is an intimate art form, consisting, at minimum, of a female or male singer accompanied by a plucked-string instrument. The essential accompaniment is the high-pitched, mandolin-like 12-string Portuguese guitar. In most contemporary settings, a conventional ("Spanish") guitar adds the bass notes. The songs are passionate and intense but not necessarily tragic nor somber. One of the film's greatest services is to show, via the excellent subtitles, the sublime folk poetry that makes up much of the lyrics of Fado. 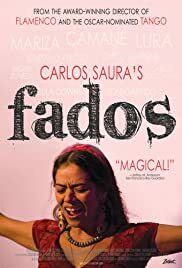 A principal intention of the filmmakers was to present Fado as a trans-cultural phenomenon, an art form which has been translated and transmuted through the cultural lenses of many peoples, especially those of the former colonies of Portugal. They certainly succeeded in this intention, although the various submissions were of varied quality and, obviously, did not suit the taste of some of the reviewers. For me, the low point of the film was the "rap" selection, an abominable form in general and particularly egregious in this setting. 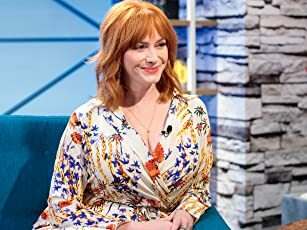 The pattern of audience applause after each segment, established at the beginning of the film, was broken here — by my loud "boo" — which elicited knowing chuckles from other members of the audience. Given the film's scope, it is hard to fault the inclusion of dance. Some of it worked fairly well, other examples not so well. None of the choreography could be called inspired. One advantage of the world-wide excursion through forms of lesser quality, at least for me, was the enhanced joy produced by the return to "pure" Fado, which made up most of the later portion of the film. I especially liked the scene in the "night club," with three Fadistas, two female, one male, engaging in a sort of competitive conversation. All in all, "Fados" is a rare internationalist endeavor, a film about Portuguese culture made in Spain, where awareness of its less populous neighbor is, perhaps, even lower than that of Canada in the U.S. Allowing for a few misguided camera effects and hokey "fado" incarnations, this film remains a genuine work of art, an expression of overwhelmingly good taste in a time when that is a scarce commodity. Carlos Saura and company should be very proud!